A lot of our posts recently seem to have focused on the East Village and we return there again today to celebrate the 149th anniversary of Abraham Lincoln’s “Right Makes Might” speech at Cooper Union. Lincoln had been invited to address the Plymouth Church in Brooklyn, but the parish—led by noted abolitionist Henry Ward Beecher*—realized that the crowd would be too large for their Orange Street home and the speech was rebooked for the Great Hall at the Cooper Union. The Great Hall had opened only two years earlier and was one of the largest public gathering spots in the city. It was a busy day for Lincoln. In addition to the speech, he had his photograph taken by Mathew Brady. Both the speech and the photograph were distributed across the country, significantly raising Lincoln’s profile. According to McSorley’s lore, Peter Cooper brought Lincoln around for beer after the speech. This is unlikely. Instead, Lincoln went to the Athenaeum Club with some members of the Young Men's Central Republican Union for dinner. 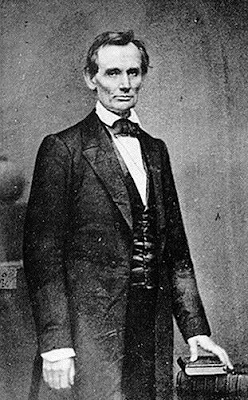 The complete text of Lincoln’s speech can be read at http://showcase.netins.net/web/creative/lincoln/speeches/cooper.htm. * We’ll visit the Plymouth Church in a future post. For more about Abraham Lincoln, Cooper Union, and the city during the Civil War, be sure to pick up a copy of our book Inside the Apple. Saturday, February 21, 2009, marks an unfortunate anniversary—it has been 44 years since the murder of Malcolm X at the Audubon Ballroom in Washington Heights. You may remember from back in the early 1990s that Columbia University made headlines with its plans to demolish the Audubon Ballroom to build a biomedical research lab. This angered the African-American community and while the lab got built, then-Borough President Ruth Messinger was able to broker a compromise in which parts of the façade (pictured) and the ballroom where Malcolm X was assassinated would be preserved. 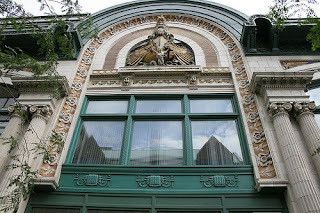 The original building was erected in 1912 and was designed by renowned theater architect Thomas W. Lamb. Planned as a multiuse building, with twenty-five stores and a mixed vaudeville/movie theater, the original budget of $1 million soon doubled to $2 million. The theater opened in November 1912 with a seating capacity of 3,400. An additional 2,800 people could be accommodated in the roof garden and an unspecified number in the ballroom. In the 1930s, the theater was the target of at least two bombings, both of which were apparently part of a labor dispute between the Motion Picture Operators Association and the United Motion Picture Operators Union (which kind of sounds like Judean People’s Front and the People’s Front of Judea) and soon thereafter, the space was leased to Temple Emes Wozedek. By the 1950s, Washington Heights was one of the largest German –Jewish neighborhoods in the city and in 1951 the synagogue had over 1,000 families as members. By the 1960s, the demographics of the neighborhood were changing again and the ballroom was mostly being hired out for events. On February 21, 1965, while addressing the Organization of Afro-American Unity, Malcolm X was shot in a well-coordinated attack. His home had been fire-bombed just a week earlier and he knew his life was in danger, but chose to speak anyway. A statue to the slain Civil Rights leader now stands in the lobby of the Audubon. You can visit by taking the A, C, or 1 train to 168th Street and walking three blocks south on Broadway. More about the life and tragic death of Malcolm X can be found in our book, Inside the Apple: A Streetwise History of New York City. I was sitting in mcsorley's. outside it was New York and beautifully snowing. Photo by DoctorWho on flickr. McSorley’s, the venerable old Irish saloon on East 7th Street, gets a little older today as it turns 155. If you are in the East Village, head over for a round. 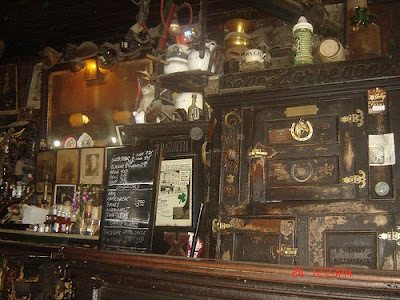 If you are somewhere else raise a glass—or, to be historically accurate, two half-pint glasses—to John McSorley and his tavern. For more about the saloon, one good place to start is Joseph Mitchell’s classic, McSorley’s Wonderful Saloon. We also have a chapter on McSorley’s—as well as entries on other venerable drinking establishments—in Inside the Apple. In honor of the holiday formerly known as Washington's Birthday, we thought we'd re-run a post we wrote last November about the presidency and New York City. Now, of course, we have one more New York president: Barack Obama, Columbia College class of 1983. Wherever you are, hope you have a good holiday! 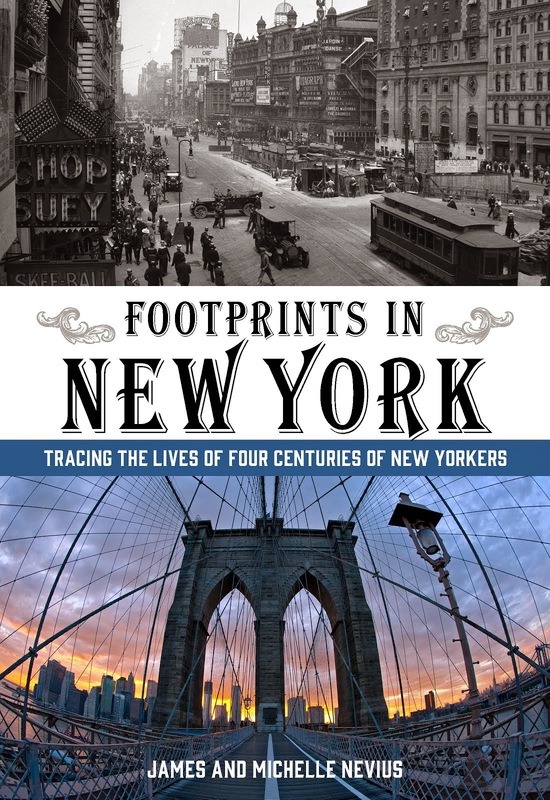 New York in 1871 and was nominated to run as James A. Garfield's vice president in 1880. Garfield was shot in July 1881, only a few months after taking office. He lingered for eighty days before succumbing to his wounds. At the time of the president's death, Arthur was at his home on Lexington Avenue (which still stands) and was sworn in as president there by a justice of the New York Supreme Court. He ran in 1885 to become president in his own right, but lost to New York Governor Grover Cleveland. Last week, Curbed and Racked pointed out that at least one new boutique on the ever-gentrifying Bowery would like to rename the entire neighborhood the “Bowery District.” This is just the most recent in a long line of attempts to change or repurpose the Bowery name over the years. The original lane that now bears the name Bowery—the English corruption of the Dutch bouwerij or “farm”—led from the city of New Amsterdam into the countryside. The original lane now goes by three different names in its different sections: Park Row, the Bowery, and Fourth Avenue. 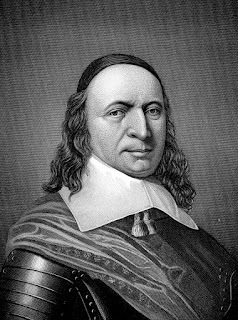 The most famous Dutch bouwerij was owned by Peter Stuyvesant, who lies buried in the churchyard of St. Mark’s in the Bowery on 10th Street and Second Avenue. For years, this church was known as St.
Mark’s in the Bouwerie; its archaic spelling not only hearkened back to the days of the Dutch, but also helped distinguished it from the nearby thoroughfare. By the late 19th century, the Bowery had become synonymous with skid row. By 1916, the street’s reputation had gotten so bad that civic groups battled to come up with a new name for the thoroughfare. 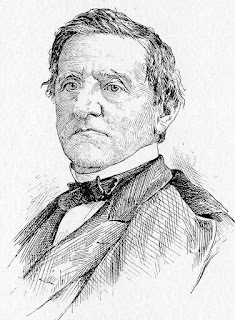 One suggestion was “Cooper Avenue” in honor of Cooper Union founder (and Jell-O pioneer)* Peter Cooper. A rival proposition recommended “Central Broadway.” It’s hard to imagine the chaos this name change might have brought about in a city that already featured Broadway, West Broadway, and East Broadway. Neither of these suggestions had any real traction, perhaps because there was still nostalgia for the old Bouwerie of Peter Stuyvesant. 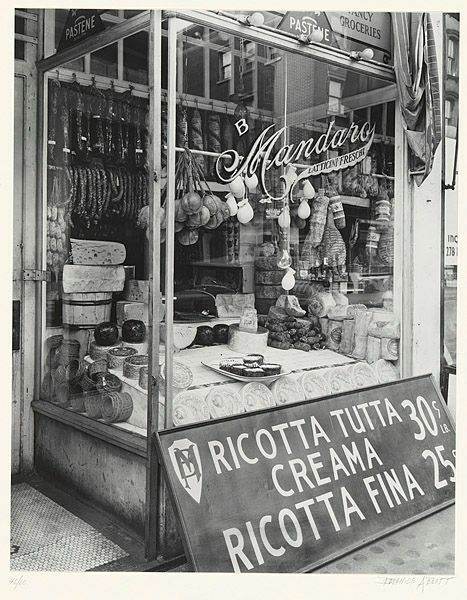 Indeed, that nostalgia was so strong that in 1956 a group of merchants suggested that Third Avenue be renamed “The Bouwerie,” to invoke the charm and refinement of a bygone age. (That this would have given the city a Bowery and a Bouwerie a block apart seems not to have figured into their calculations.) 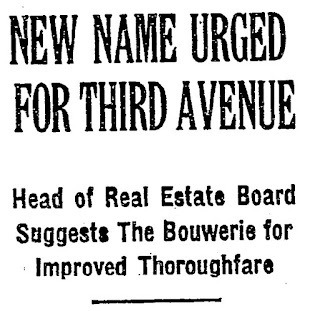 Plans were underway at the time to remove the last vestiges of the Third Avenue “El,” and it seemed logical to local boosters to get rid of the name Third Avenue—which they saw as intimately connected to the failure of the “El”—and replace it with Bouwerie, which would increase the street’s cachet and, presumably, retail rents. * Peter Cooper and his gelatin fixation will be the subject of a future post. You can read more about the Bowery in Inside the Apple; visit our home page www.insidetheapple.net. 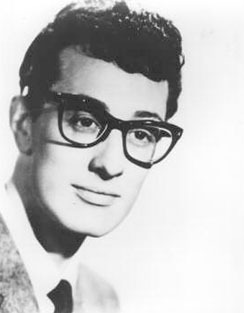 From print and online sources, it seems unclear if Buddy Holly lived in Apartment 4H or Apartment 3B. (Holly fans--feel free to chime in below in the comments section.) 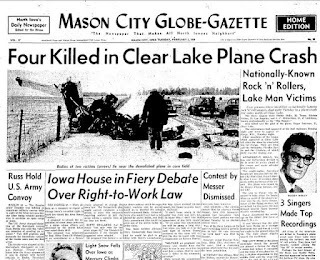 Whichever apartment it was, he set up a home tape recorder and in December 1958 made his final recordings, among them Crying, Waiting, Hoping and Peggy Sue Got Married. Posthumously released with overdubs and studio trickery, the original tapes have circulated for decades among collectors. They were recently included on the definitive Holly rarities set, Down the Line. If you are interested in doing a Rock and Roll tour of the city that includes the Brevoort—and many more famous rock and roll sites—we wrote the script for a tour of famous music spots in the East and West Village. The tour, narrated by DJ Ken Dashow, is available for download at www.citylisten.com. 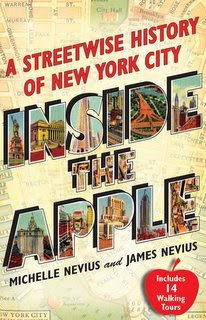 You can also read about New York in the 1960s in Inside the Apple, available for pre-order today.